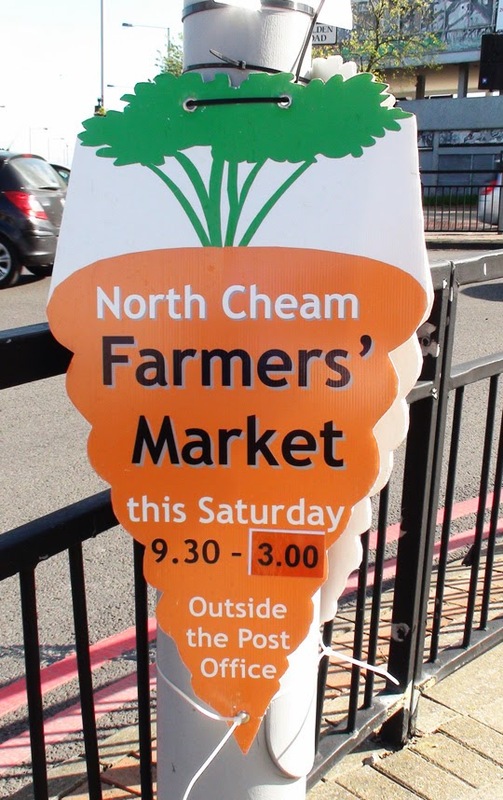 After the disappointing North Cheam farmers market last month, tomorrow a special effort is being made by the local traders to bring forth a super farmers market (not to be confused with a farmers super-market). The special Easter farmers market is starting as usual at 9:30 but has been extended through to 3pm. There will be special local stalls plus an Easter egg hunt, perhaps - almost, but not quite, entirely unlike the Worcester Park traders version.